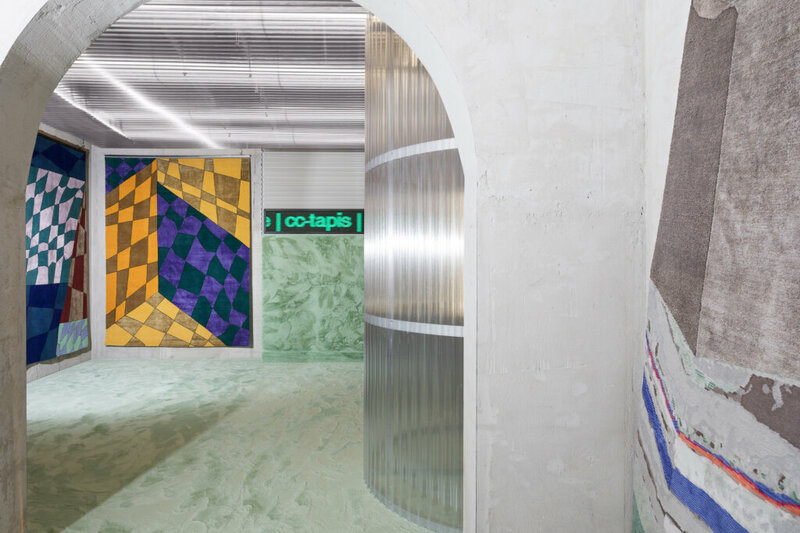 Don your lab coat and fill your syringe, because cc-tapis and Studio MILO have some serious research to do. 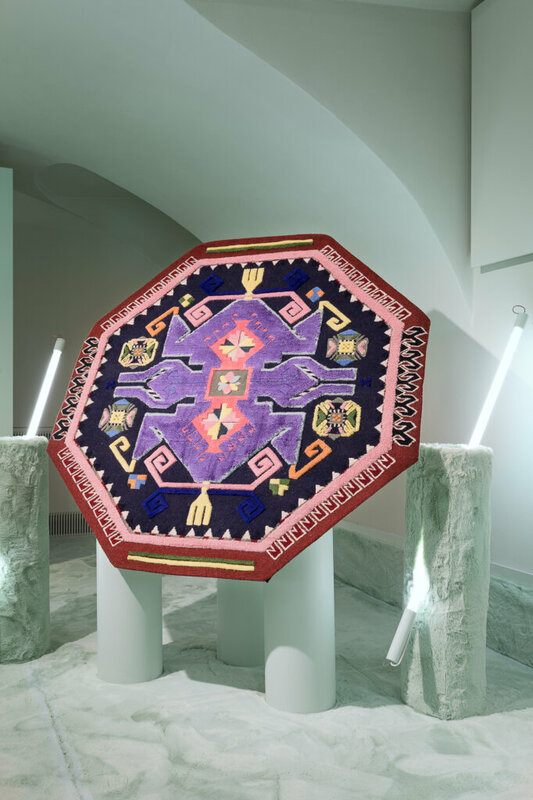 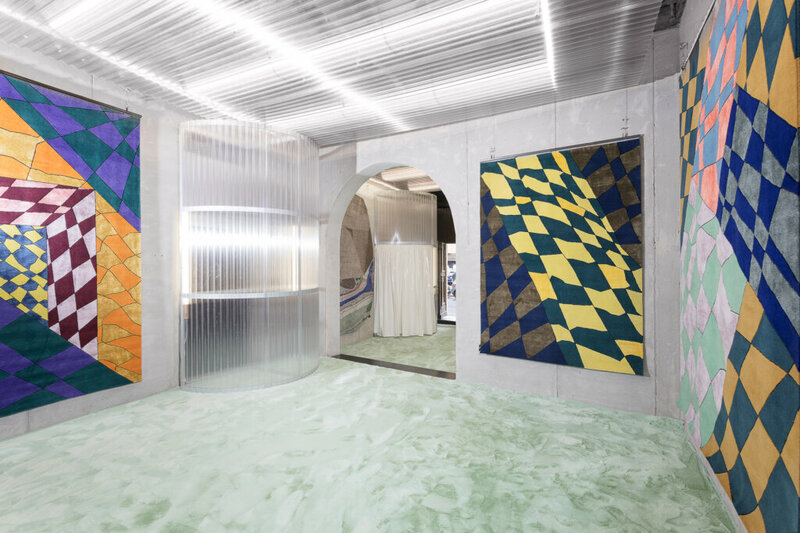 Inspired by space age fantasies from the retro-futuristic eighties, visitors to the Piazza Santo Stefano showroom and Salone del Mobile stand will step into a science fiction laboratory where experimentation freely reigns. 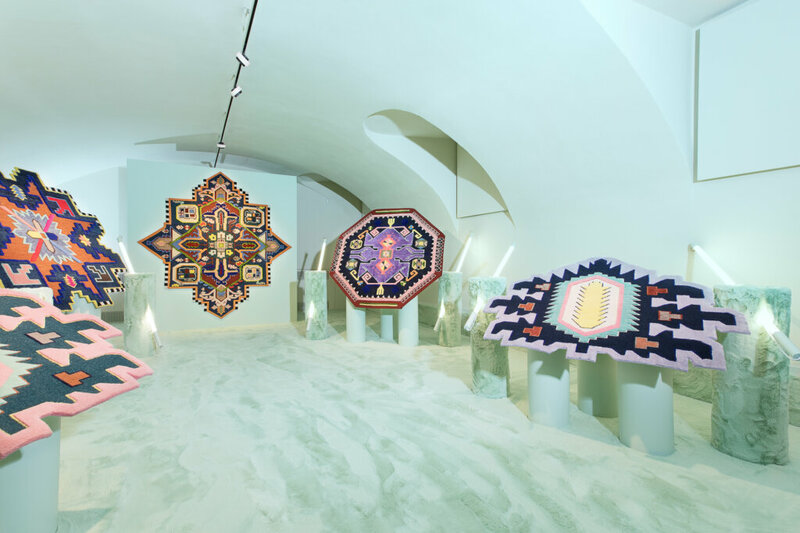 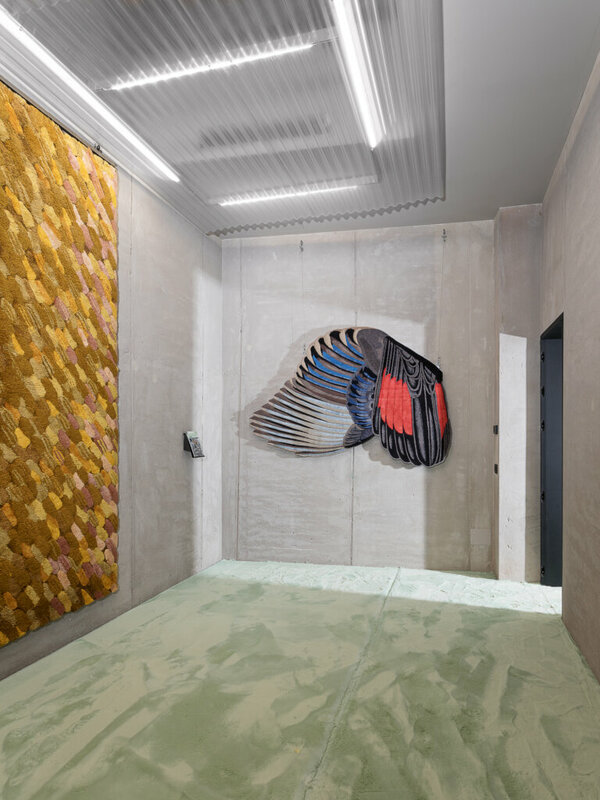 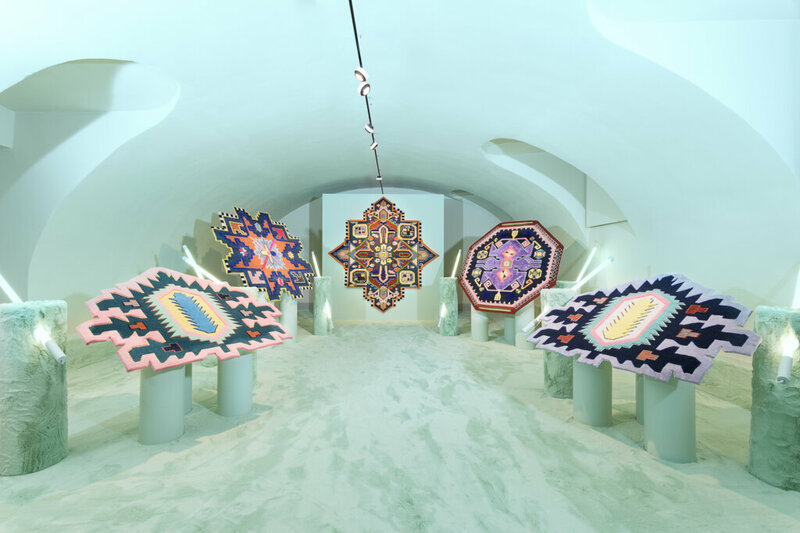 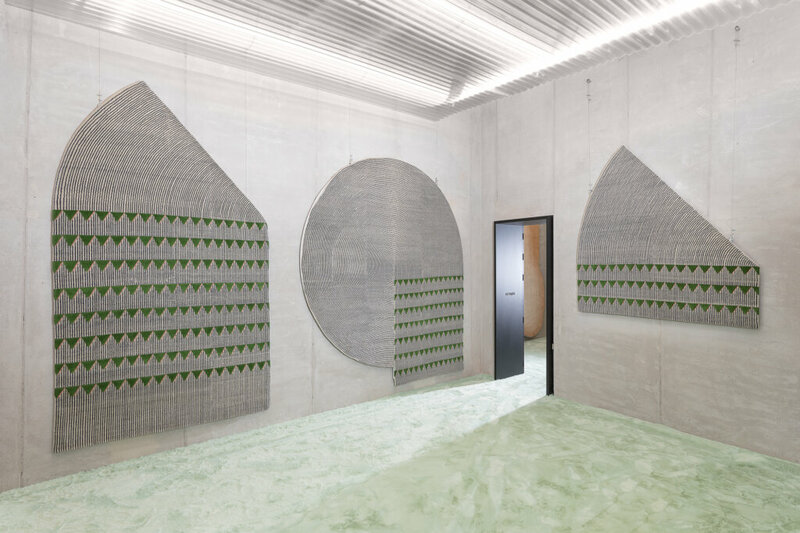 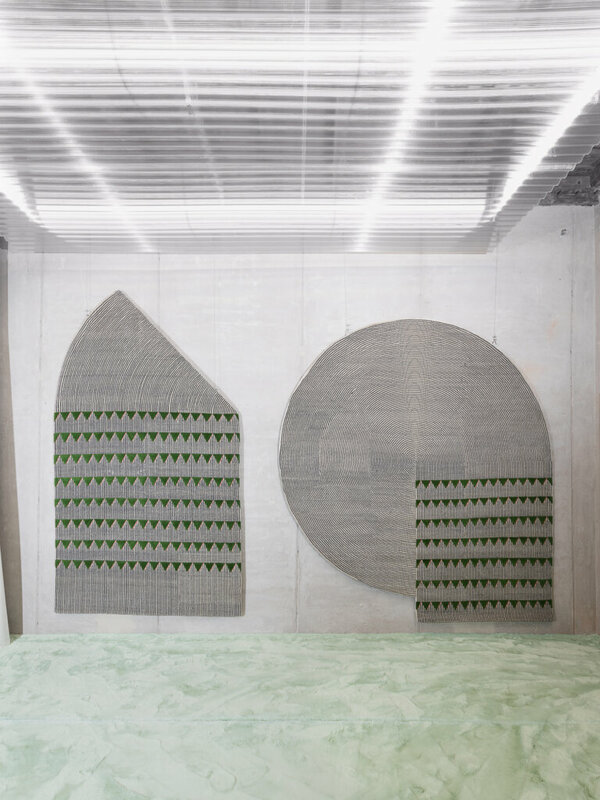 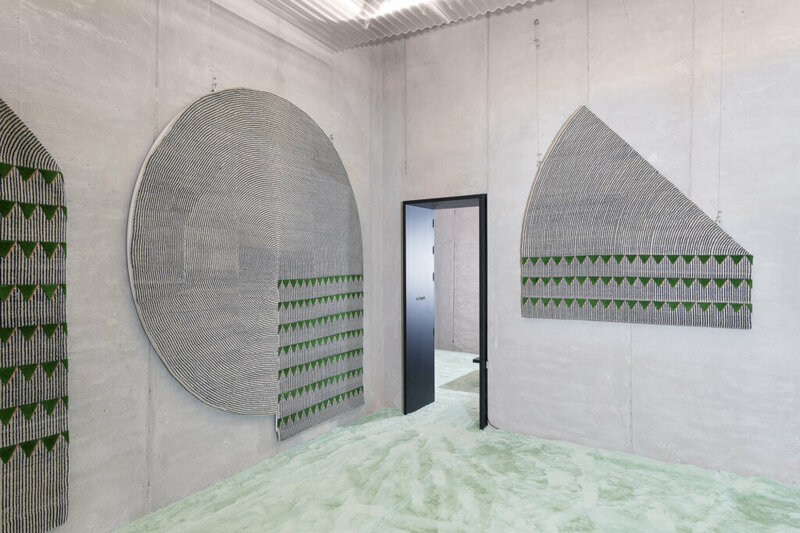 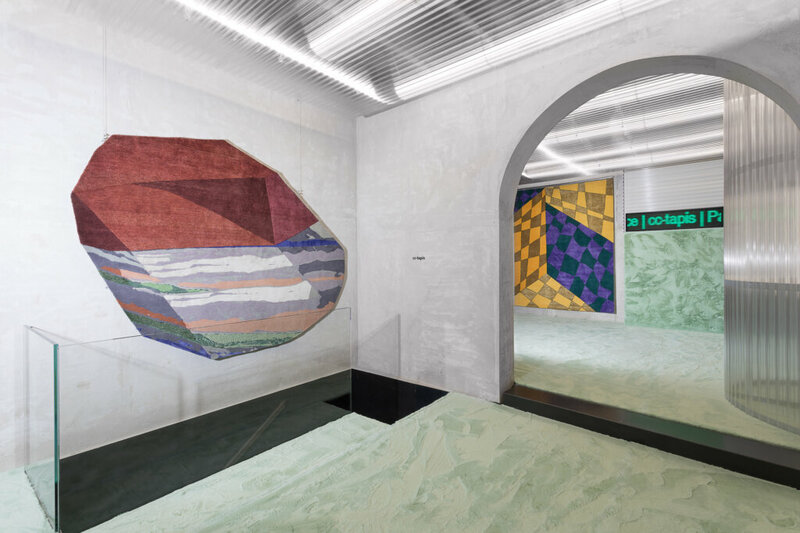 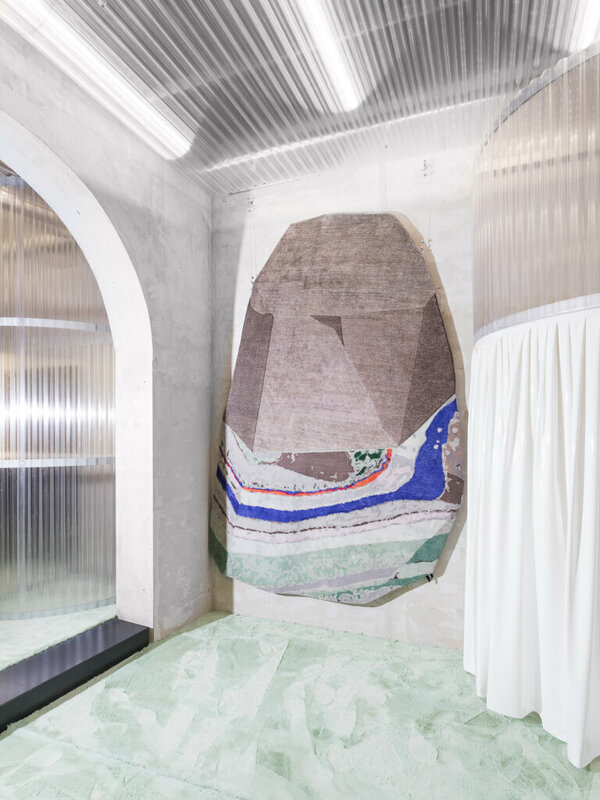 After the success of the cc-tapis stand in 2018 with its colorful sequence of arches, Studio MILO delved deep into their material archives for the Spectrum concept of 2019. 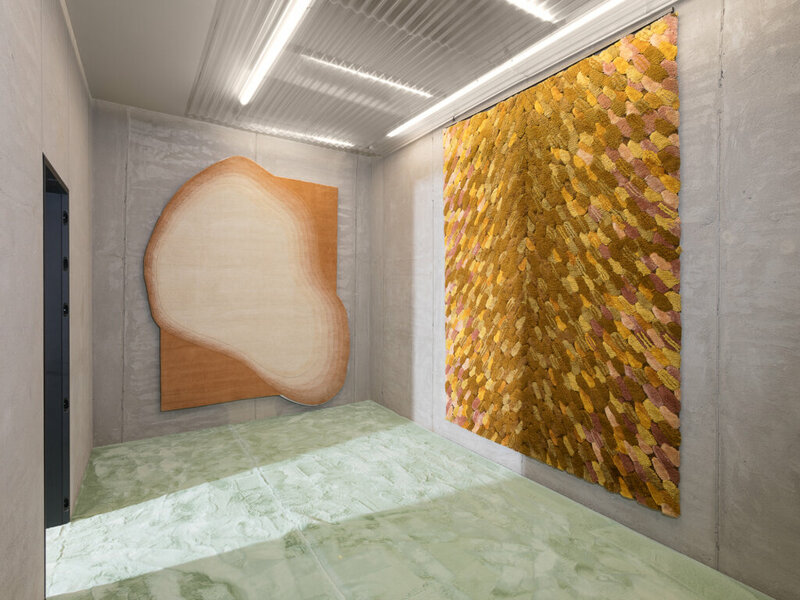 Chromatic details, neon-lighting and extensive research into completely recyclable materials which will be recycled after the Milan Design Week: Both the iron structure and the polycarbonate sheeting can be completely recycled; the spray-on green-colored cork is an eco-sustainable material and biologically pure and the Celenit panels are made from a natural wooden composite which is a product of sustainable forest management. 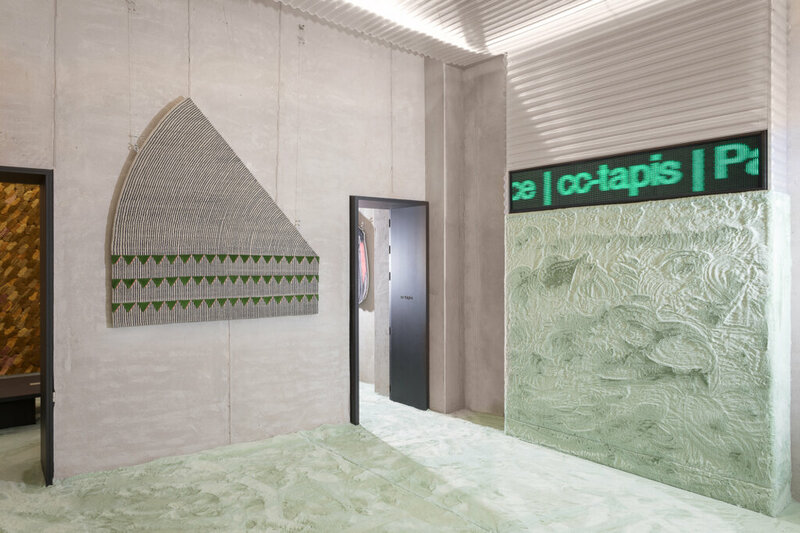 All of these elements are whipped up into an immersive experience: a highly combustible environment housing the cc-tapis lab’s latest experiments.